The Irvine-based pre-professional ballet company has been preparing for its spring production, a reimagining of “The Wizard of Oz,” taking place March 26. Priscilla Montgomery Clark, a member of the cast of the original 1939 film, shared stories with the cast about her time as a child actor, according to Maple Youth Ballet Executive Director Kathy Krade. Clark, who lives in Orange County, was 9 when she acted in the movie as a Munchkin. She told members of the cast that while she was not nervous to be on the film set, she was frightened by the Wicked Witch of the West – until she got to know her, that is. “Out of character, she was just the nicest person,” Clark recalled Sunday. 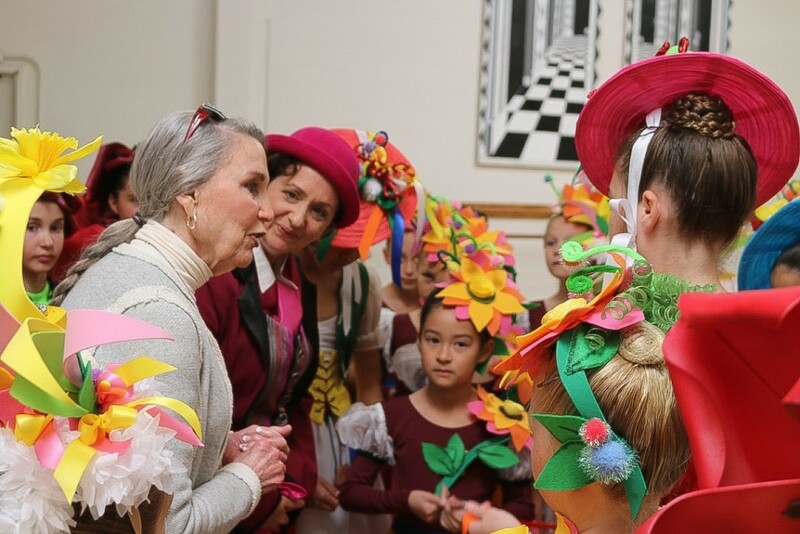 Maple Youth Ballet’s production, choreographed by Maple, is based on the novel by L. Frank Baum.